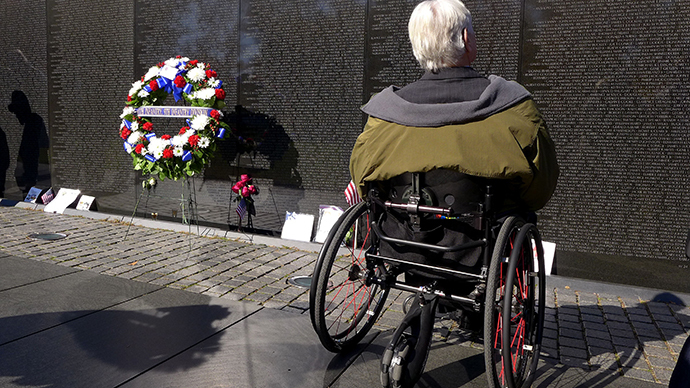 A Vietnam veteran, long denied disability benefits, is suing the Veterans Affairs Department to speed up the compensation appeals process. It is a move that could potentially affect the outcomes of thousands of cases stuck in administrative limbo. The suit, filed by Marine vet Conley Monk, Jr in the US Court of Appeals for Veterans Claims, was brought against the Secretary of Veteran Affairs and asks the VA to promptly decide disability compensation appeals that have been pending for more than a year. “I want to get the resolution not only for myself, but for veterans undergoing a similar problem,” Monk said. In addition to PTSD, Monk recently suffered a stroke that resulted in legal blindness. He also has ailments from exposure to Agent Orange, including diabetes mellitus, hepatitis and hypertension. Monk was given an ‘Other Than Honorable’ military discharge 45 years ago due to his use of morphine, which he used to self-medicate to ease PTSD. He joined the military at the age of 20 and spent 1969-70 in Vietnam. His plane was shot at while he was landing and his unit was gassed. PTSD wasn’t recognized as a medical disorder until 1980. “We are literally in the military’s latest Catch-22,” said US Sen. Richard Blumenthal (D-Conn.) at a press conference at Yale Law School announcing the class-action lawsuit. “He is a victim of an unfair less than honorable discharge, which in turn is the basis for the denial of disability benefits and they are also denying him a prompt review of that unfair erroneous denial of benefits by inordinate delay,” Blumenthal added. The Yale Law School’s Veterans Legal Service Clinic brought the suit against the VA on behalf of Monk and an estimated 300,000 others whose appeals on disability benefits are pending. The VA backlog of claims started rising sharply in 2009, driven by the growing number of claims by Iraq and Afghanistan veterans, and expanded eligibility for Vietnam veterans with PTSD and diabetes. The backlog peaked at more than 600,000 claims in 2013. VA officials have not yet responded to the lawsuit.